Taylor’s authentic and inspiring nature will head to Louisville this March to deliver the Keynote address at the 59th Annual Conference & Stage Expo. 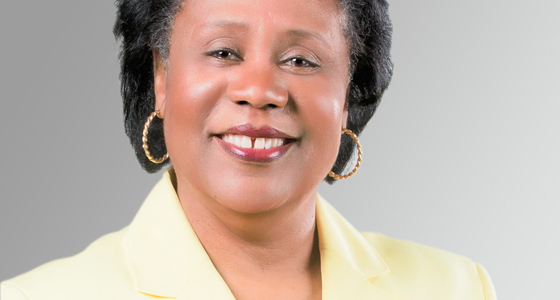 Born and raised in Chicago, Taylor rose from her modest roots to found, in 1976, the empire that has become the Black Ensemble Theater, creating a strong institution committed to eradicating racism. The theater is recognized throughout the nation for its outstanding original productions and exceptional educational outreach programs. Taylor is a distinguished director, producer, actress, educator, singer, and playwright who has written and produced more than 100 plays and musical biographies. This one-on-one interview gives insight into Taylor’s world; an inspiring preview of what’s to come during her Keynote address. 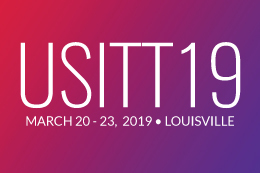 Join us at USITT19 on Wednesday, March 20, 2019, to share in the excitement of Taylor’s address. You will not want to miss this! I started with Free Street Theater in 1973. That was my first professional job as an actress right after my graduation from Loyola University. Has the film industry changed since your beginnings? When I was young it was very difficult. The roles were ridiculous being an African-American woman. They were not only anti-woman, they were anti-human, which is why I had to get out of that environment. Has it changed today? Somewhat, but not enough. Women are still very much second-class citizens and there’s still a lot of racism and stereotypes. Do you believe that it can change? Our mission is to eradicate racism, so if I didn’t think it could change, that would not be our mission for the past 42 years. Absolutely, I think it can change — it must change, or human beings will not survive. How is black ensemble working to eradicating racism? By destroying stereotypes; and education is the key. Communication is invaluable. Experiencing joy and knowledge together as human beings are vital. Speaking up wherever injustice is, wherever it occurs, and whoever it occurs to. By not ignoring it no matter where it comes from but facing it and acknowledging it is not only wrong but that it’s defecation and we have to stop doing it to each other. You’ve been an educator for a long time. What would you say your teaching style is like? Like no other. My teaching style is nonjudgmental. Every human being has the capacity for greatness no matter what their background and no matter how many issues or challenges they may have in their lives. When we are born into this world, we are born with greatness. My teaching style is one of helping people understand, recognize, and utilize the greatness that lives inside of them. Where do you derive inspiration from? It comes from my grandson, my daughter, my family, and from my students. What is a typical day in the life of Jackie Taylor? There is no typical day in my life. None. My day starts at 6 a.m. I come into my office, I look up, and it’s 6 p.m. and I just don’t know where the day has gone! But, it’s not typical. It’s facing whatever it is I have to face, raising whatever monies I have to raise, solving whatever challenges I have to solve, writing whatever script I have to write, and taking care of my artists. It encompasses all those things and it’s never the same. It’s always different every day. Does it ever get overwhelming? How do you combat those feelings? How was the idea for the Black Ensemble Theater sparked? When I made Cooley High, that propelled me into the film industry. The opportunities I was offered were ridiculously disgusting. I was highly offended as a human being and I was highly offended as a woman where people saw me as this second-class citizen who had no brain. The racism was ridiculous. Being black I had experienced racism all my life, but this was on a new level. I decided I wanted to do something about it and I couldn’t do it in film — I didn’t want to do it in film. I was just simply there as an actress, not in any capacity. But, I could do it in theater, that’s what my degree was in and that’s what my background was in, so I decided to start a theater that would be my tool to eradicate racism. What is the message of the Black Ensemble Theater? That we are all one. That we are all human beings starting as far as our history tells us in Africa. That’s where the first homo sapiens existed. Which means we’re all black, so we need to understand that and own it and honor it. That’s what I want Black Ensemble to do, help us understand that we are all one, we’re all related, and we’re all human beings. We’re just lighter and darker, but we’re all black. What has it been like to watch your company grow from an idea to a multimillion-dollar cultural center? I never think about it, I mean, really I don’t. There are things that need to be done in order to move forward, in order to ensure success and in order to ensure sustainability. When I see that it needs to be done, I do it, and once that’s done I go to the next thing. Hopefully, as long as we live we’re always looking forward. What’s next for the Black Ensemble theater? We’re creating a village surrounding the Black Ensemble Theater that will feed into the earned revenue of the theater so that it will sustain itself outside of the frail revenue streams that we have now like ticket sales and fundraising. We’re in the midst of creating a community around the theater that will take the mission outside of the theater walls where it will be a community that has affordable housing, an education center that has a technology center, a restaurant that has a literary café, and many options and choices for the community to come together, interact, and communicate. Right now, we’re in the midst of buying the property around the theater and creating the infrastructure that we’re going to need to make “Free to Be” a reality. Can you think back to a time in your career where something has surprised you? Surprise? No. Have there been challenges? Absolutely. Have they been surprises? No. It’s just what happens in life. Just as it’s what happens in business, or when you are writing or directing or acting. What do you hope attendees will take away from your Keynote? I want them to be inspired to reach for the stars and not let anything or anybody get in their way and to know that there are no limitations in life. I want them to be able to release the fear and let it go. I’m certainly honored to have been chosen to be the Keynote speaker — now THAT was a surprise!